Proto Bat-Bot , the large scale vehicle-figure hybrid from the Batman: The Brave and the Bold cartoon is available for $9 during Amazon's year-end clearance sale. Proto was voiced by TV's Batman Adam West during his stint on the hit Cartoon Network program. Although his screen time was limited to only one episode, the adventures of Proto continue thanks to toonanet.com and their Action Figure comix. 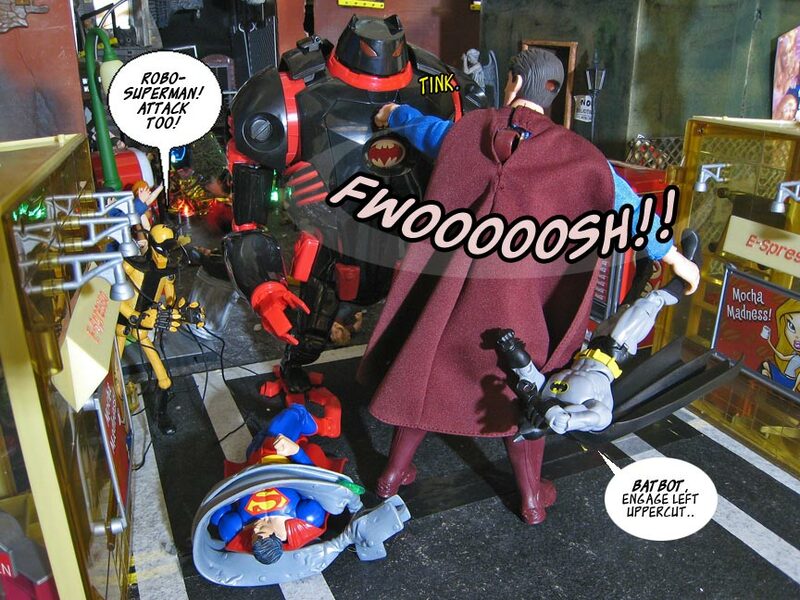 In this latest issue, Proto battles the villianeous Toyman alongside both Batman and Superman. We at Toy Sale Boat love to see toys in action and these are some of the most cinematic action figure comics we've ever come across. Make sure to check out the entire 3-Story Toy tale.